Literacy research has yielded many questions about the nature of reading development. Some of these questions include what skills are necessary for an emergent reader to become proficient? How are these skills developed? What contributions does each skill make to reading development, and how are such skills connected? §§The current study focused on the relationships between several cognitive and linguistic factors that facilitate proficiency in reading. The main construct under investigation was metalinguistic awareness, which is a set of skills that enable early readers to reflect on and manipulate the structural characteristics of spoken and written language. 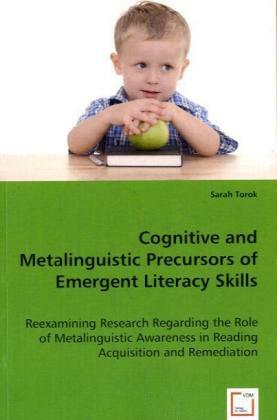 There has been some debate in previous literature regarding the role that metalinguistic awareness has played in emergent reading skills. §§Using SEM, this research validated aspects of earlier theories and extended the existing theoretical framework by providing evidence that suggested metalinguistic awareness is a more complex and dynamic construct than previously thought. The results of these findings were also discussed in more practical contexts-- implications for reading instruction and remediation.